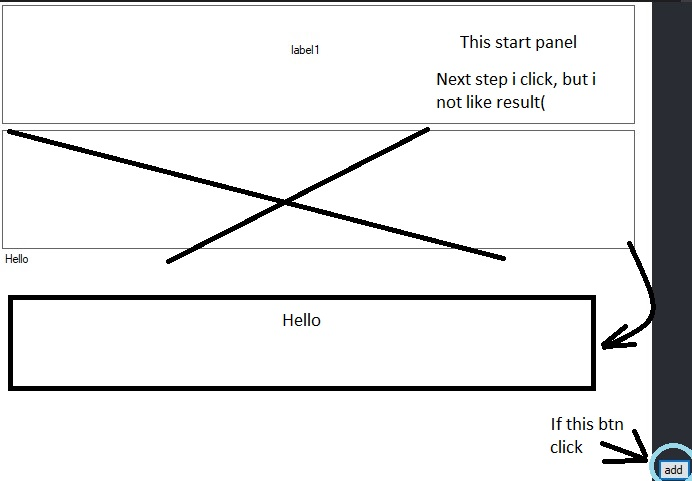 How do I change the value of a textbox with this JQuery? How do I split a string into a list of strings between opening and closing parentheses in c++? I need help with my code. "hello my friends, how r u? ","today is good"
I want to remove sub-strings using SubString() (or another method, it doesn't matter) for this TextBox items. I want to see this output in my TextBox (same TextBox, not a new) when I compile my code. hello my friends, how r u? Splitting the strings and removing the quotes should be enough, if there aren't any other quotes inside the text. After splitting the strings, take the lines in the array that have an even index and put everything back in the TextBox. This is the first time to ask a question here and not an English native. So if my question is ambiguous, I'm sorry about that. I'm working on a windows form app. What is the best practice to implement following function. Once each combobox are changed, each eventhandler executes, and in the method, setEachFeeList(), there is a sql query, in which the target data to obtain is narrowed down from cmbGradeFrom to cmbGradeTo and from cmbClassFrom to cmbClassTo. And display the data on the data grid view. As the code tells, if you change the choice of one combobox, it affects another combobox's value. So Just changing the value of combobox one time sometimes leads to execute setEachFeeList() method. I want to make it as if I change one combobox value, other three combobox value change, and execute setEachFeeList() method only once. Is there any way to implement this function? I have tried using bool vairiable to check whether accessing data is needed. I have tried removing or adding eventhandler to control whether accessing data is needed. We can close a Mdiform by Me.close() written in a control like Button's event. Can we close a form right after opening it? According to what I know after opening a form the pointer goes to Form.Load event. I got error describing me.close won't work while CreateHandler() event. I am doing this because I created something like if say Public variable bool as Boolean = false then form won't open. I can put it before initializing form in mdi parent and it works for me but a form can be initialized from many different points. Like from MdiParent and from another MdiChild too and I have to put if bool = false then exit sub everywhere. If I can put it in the form then I can save some LOC. Are can you help me? I am using asp.net 4.5, C# and SQL Express, with five text boxes. The values passed are numbers between 0 and 99. When the inserting the numbers using ExecuteNonQuery, the system hangs for 30 seconds or more. During VS debugging, I verified the data is actually written to the database, however, ExecuteNonQuery never completes. I have tried several methods including converting(TryParse and Convert) with the same results. I also created a simple test page with just five textboxes, but shows the same problem. This issue fails with hard coding as well as stored procedure. Using the SQLDatasource control works, but prefer to code using C#. The fields are only used for numbers and will be calculated during reporting. Note: I'm assuming the value needs converted from a string to a INT. I would expect the entry to return in less that a second as my other pages have quick response. I have script working that will change the value of my textbox as needed. I am trying to change it even more. .toFixed(2) changes the textbox and the span tag just fine. When I try to add .digits() nothing happens to the textbox. string input= "Test test test    Have a nice day,      [logo]<http://www.example.com/>    John Nash  Software Developer    Google"
string input= "Test test test    Have a nice day,"
element(0) = "(if (a = b) (a) (b))"
I have already tried going through the string by each individual character using String.at() and counting the opening and closing parentheses. However this gets very tricky, and I don't believe its the most efficient or easy way to do this. Any ideas would be greatly appreciated! The user first inputs n, which is the number of digits and then inputs a string of n digits. We need to output how many of its substrings are even. For example, consider string "123". The output will be 2 as the substrings "2" and "12" are even and the rest aren't (i.e "1", "123", "23", "3"). I tried implementing a really simple method. One at a time, I try every possible substring (using std::string.substr()) and then convert it into an integer (using std::stoi()) and check if it is even or not. If it is, I increase the counter by one. The problem is that VS2019 calls abort() when I enter a large number like 9572683145. It seems to me like std::stoi() was causing this. So I tried eliminating that factor entirely by trying a different approach. So in my second approach, the first step was the same. I try every possible substring from the string and then I check whether or not the last element in each substring is either 0, 2, 4, 6 or 8. If it is, I increase the count by one. This approach can solve for inputs like 9572683145, but one of the tests has n = 65000, which ends up being a ridiculously large number and trying every possible substring seems impractical, as the judge return "Time Limit Exceeded". After looking at the input I realized that the std::stoi approach will not work as no integer can store up to 10^65 (maybe long or long int or long long int). In any case, that won't matter unless I can figure out a more efficient way to test out the substrings than the one I have right here. Any input or advice is most welcome. Thanks a lot for your help and support!